WHAT COUNTS most in the path of truth is self-discipline, for without this our studies and practices cannot produce great results. This self-discipline has many different aspects. By studying the lives of the ascetics who lived in the mountains and forests and in the wilderness, we learn that those who have really sought after truth have done their utmost to practice self-discipline; without it no soul in the world has ever arrived at a higher realization. No doubt it frightens people living in the world, accustomed to a life of comfort, even to think of self-discipline; and when they do think of it they imagine it only in its extreme forms. But it is not necessary for us to go to the mountain caves or to the forest or to the wilderness in order to practice self-discipline; we can do so in our everyday life. One way is the physical way, the practice of remaining in the same position, of sitting in the same posture for a certain time. And when one begins to do it one will find that it is not as easy as it seems. Then there is another aspect of self-discipline which is connected with eating or drinking: one avoids certain things in one's everyday food or drink, and makes a practice of being able to live without them, especially things that one feels one cannot live without. This is one of the reasons, apart from the psychological and physical ones, that some adepts live on a diet of fruit and vegetables; that for days or weeks or months they go without certain things that they are accustomed to eat or drink. Fasting is also one of the ways by which the denseness of the body can be diminished. And when one knows the right way of fasting, when one is under the direction of someone who really knows when and why and how a person should fast so that he is benefited by it, a great deal can be achieved by fasting. Surgeons keep their patients without food for several hours or days knowing that it will help them to heal more quickly. In the same way spiritual teachers may prescribe a fast for their pupils; sometimes going without meat and sometimes without bread; sometimes living on milk or fruits and sometimes for a limited time without anything at all, according to the capacity and endurance of the pupil. There is yet another aspect of self-discipline and that is the habit of thinking and of forgetting. This means on the one hand to be able to think of whatever one wishes to think of, and to continue to do so and to be able to hold that thought; and on the other hand to practice the forgetting of things, so that certain thoughts may not get a hold over one's mind; and in the same way to check thoughts of agitation, anger, depression, prejudice, hatred. This gives moral discipline and by doing so one becomes the master of one's mind. After one has practiced these three aspects of discipline, one is able to arrive at the fourth aspect which is greater still; it is greater because by it one arrives at spiritual experiences. 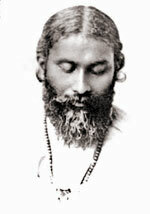 This discipline is practiced to free one's consciousness from one's environment. It is the experience of the adepts and they have spent much of their lives arriving at this. In the old school of the Sufis, and even today, there is a custom that when they enter or leave the room of meditation, one among them says, 'Solitude in the crowd.' The suggestion is that even when one is in the midst of the crowd one can still keep one's tranquility, one's peace, so that one is not disturbed by the surroundings. It is this which enables one to live in the midst of the world and yet progress spiritually; and it is no longer necessary to go into the wilderness, as many souls did in ancient times, in order to develop spiritually.